AGC Partners is pleased to announce that its client, Greenphire, Inc., the market leading provider of cloud-based clinical trial payment management and data analytics solutions, has been acquired by The Riverside Company, a global private equity firm focused on acquiring and investing in growing enterprises. 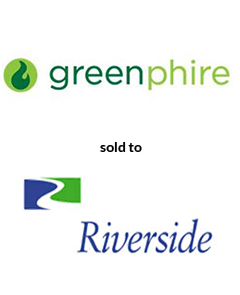 Greenphire’s technology platform and strong customer base will be a unique addition to Riverside’s healthcare portfolio. With a team led by Hugh Hoffman, AGC Partners acted as sole financial advisor to Greenphire.